It is incredibly tragic. You__and I__have been brought up to always focus on a better tomorrow and never to celebrate a great today! From infancy to childhood to teenage to young adulthood to middle-age to senior citizenship __ it is one endless pursuit of growing knowledgeable (all the academic education that is thrust upon us), growing secure (a stable income, a marriage, a family) and growing financially (acquiring assets and saving for a comfortable retirement). Nowhere are we told or taught__unless we stumble upon it or seek for ourselves__to grow up, grow wiser, grow aware and grow into bliss! Let’s look at ourselves. We are continuously running, from one job to another, one achievement to another, one crisis to another, hoping to find a pot of gold, somewhere, somehow, so that we can stop running. We hate all this running. But we simply keep on running! Yesterday I watched a lesser-known movie called ‘Chodo Kal Ki Baatein’ (2012 – directed by Pramod Joshi – starring Anupam Kher and Sachin Khedekar). It is the story of workaholic who discovers who he really is, and what is truly capable of, through a series of bizarre happenings in his Life. The movie’s lead character Aditya reminded me of myself. There was a time, not so long ago, when I was running the rat race too. I would skip the annual days and sports days of my kids’ at school, and sometimes even their birthdays, because building a global Firm, winning marquee customers and leading a world-class team were far more important than family. Business and income always came first, family and enjoyment always came last. Stupidly enough, I would imagine that I was doing all this, working 24 x 7, all year through, only to secure my family financially. Whereas, unknown to me (or perhaps it was evident but I refused to pay heed to it – call it hubris! ), I was driving myself, my Firm and, worse, my family in exactly the opposite direction. To a financial apocalypse! Then the inevitable happened. The Firm I led collapsed. And suddenly, in the ghastliness of a business defeat, I made a shameful personal discovery. I realized my kids had grown up and I had really not watched them grow up! The night my son took a flight out of Chennai for the US, to do an undergraduate program there, I remember coming back home from the airport, hugging his picture and crying like a baby. In yesterday’s movie, Aditya misses his daughter’s debut Bharatanatyam performance, her arangetram. And he doesn’t even realize it. When I missed my kids’ growing years, I too didn’t realize it. In the few years that have passed, I have realized, through tragedy, crises and painful ‘eureka’ moments, that Life’s treasures don’t lie in what we achieve. They lie in the moments that we live. In the film, Aditya is asked by the blind mystic (Anupam Kher), who he (Aditya) is? This was like The-Monk-Who-Sold-His-Ferrari-moment in the movie. I wish I had had a mystic or a monk to hold me a mirror early on in Life. Then probably, I may not have lost as many years in Life! Life is happening now. Are you present? You have lost the game of Life if you think of happiness. Happiness is what you feel, from the soul! You either feel happy or you don’t! 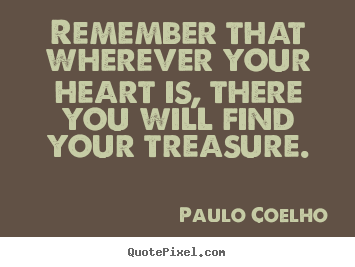 Life is not a treasure hunt. Because what you hunt for is already available to you, right here, right now! What matters most is – how are you LIVING TODAY? The key words are, livingand today! So, if you really want to live a more fulfilling Life, take time to say your good-byes, shut out your intrusive mobiles at family meal times, tuck your kids’ into bed and kiss them good night daily, make time for their silly moments and their school projects, for their music classes and their popcorn nights, make sure you get more done in five days of the week so that your family time is not intruded upon by your demanding work Life, and make time, at least weekly, for doing what truly makes you feel happy! You have heard this before. So it may well sound clichéd. Yet, this is the only way we must live __ because we live only once! This is not to say that we must not pursue successful careers. Or that we must not aim to create more wealth and be prosperous. This is simply a reminder service that if you are doing all those things, at the cost of living today, you are headed the wrong way. Working hard is certainly not working smart. Workaholicism is a disease. It is often an escape from reality. It may not often be a reality the workaholic lives in but may be about a haunting past, about an insecurity, and the workaholic keeps working so that the reality does not torment, does not bother anymore. Our society demands that we work to earn. But won’t it be better if we simply lived and earned on the side, in the bargain, without compromising on “living”? Think about it. Does any other creation of nature work the way man works? Do the trees, the rivers, the mountains, the crops in the farms, the fruits, the bees and the butterflies work __ meaninglessly, running a rat race__the way we do? That an achieving mind is far more significant and powerful than a living soul! That Life is a treasure hunt! Nothing can be farther from the truth! When you awaken from this stupor, imposed on you by centuries of conditioning, you will realize, like Aditya, like me, that if your soul is alive to the moment, to today, then it will recognize this lifetime as THE treasure!